Roadways Removals should be your first choice when it comes to chosing local removalists in Australia. When Roadways Removals initially began back in 1993 as Local Removalists, local removalists on the Sunshine Coast was the primary target market of our moving company in Australia. Since 1993 our local removals division has advanced dramatically to remain ahead of our competition in the removals services we offer in our local area, which has seen a huge growth spurt over the years. 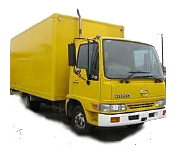 With a fleet of local moving trucks specifically designed to best accommodate for all types of access restrictions to properties, you can be sure we are the local furniture removalists that have the ability to get your local furniture removals done with ease and efficiently with a competitive rate to match. If you are moving locally on the Sunshine Coast or moving from Sunshine Coast to Brisbane and Gold Coast, we would advise you to give us a call and book in for an onsite inspection of your property. This will enable our local removalists to provide you with an accurate cost for moving and you will also receive a professional written quote. This way you will know the price before we turn up on the day of your local furniture removals and we can also supply you with all the moving boxes and pre packing supplies that you require. We can also complete local removals on an hourly rate basis which is a bit more flexible and allows you to assist during the furniture removals process to keep your costs down. You are also welcome to complete our online quote request form which will enable us to evaluate your local furniture removalists requirements and provide a written quote on that basis. Ensure we provide a prompt and reliable service. Ensure that every item is handled and transported in the safest manner possible. Provide our clients with the most cost effective removals service possible. Maintain a high repeat clientele ratio through service excellence. Our local removalists run from Tewantin, Sunshine Coast to Brisbane and Gold Coast twice per week, so if you are moving in that direction or coming back from Brisbane and Gold Coast to the Sunshine Coast, then we are sure to be your most cost effective moving solution. Especially if you only have a few items or a small load to move between these cities. Our Interstate Removals services also leave from all of these cities on a weekly basis, Australia wide.